With sophisticated interiors, Hotel Hennur Road promises to provide a stay filled with peace and quiet. The interior decor consists of soothing, light colored walls while the brightly colored cushions and drapes bolster the vibrancy in the room, complete a large set of cabinets which provide ample space for everything you love having with you on your trips. 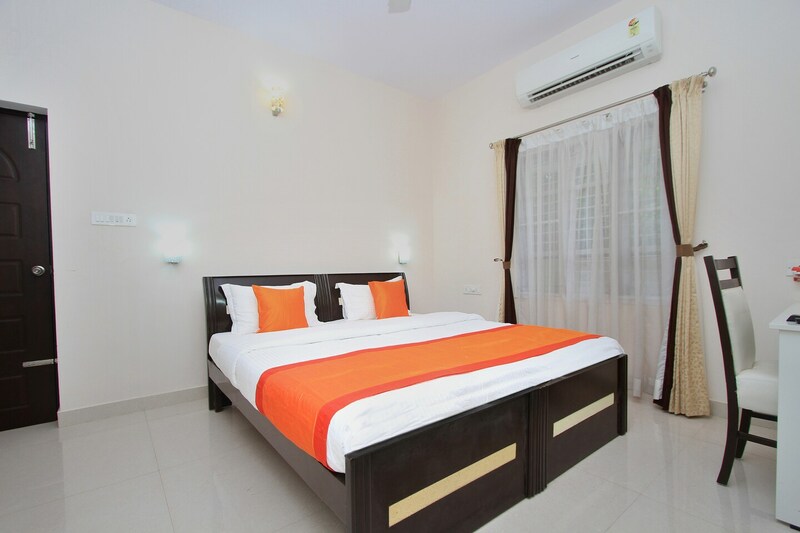 The premises are well-monitored with CCTV cameras which adds that much-needed layer of security over the comfort and satisfaction already offered by the hotel while a number of other amenities like free wifi and power backup make sure that your stay here is one filled with silence and satisfaction.